See more information (in Thai) on the links below. 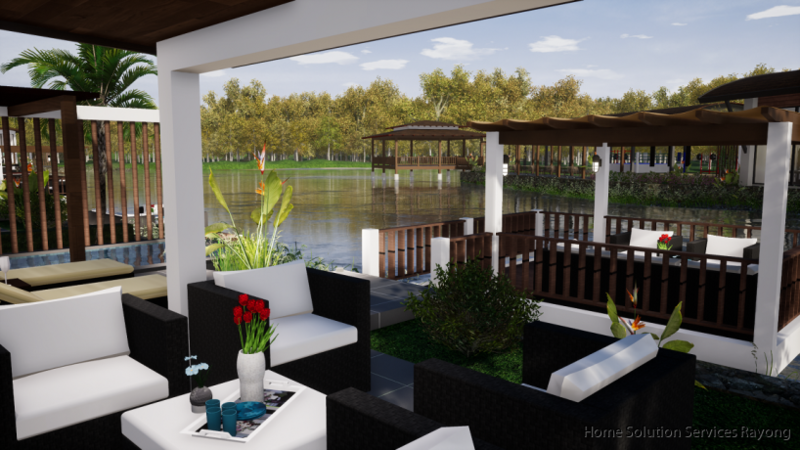 We are proud to present LakeView Residence, a few kilometers from Ban Phe. LakeView offers a unique view by the side of a private lake. Looking out you´ll see the wooded and green hills just before the wast ocean only 800 meters away. 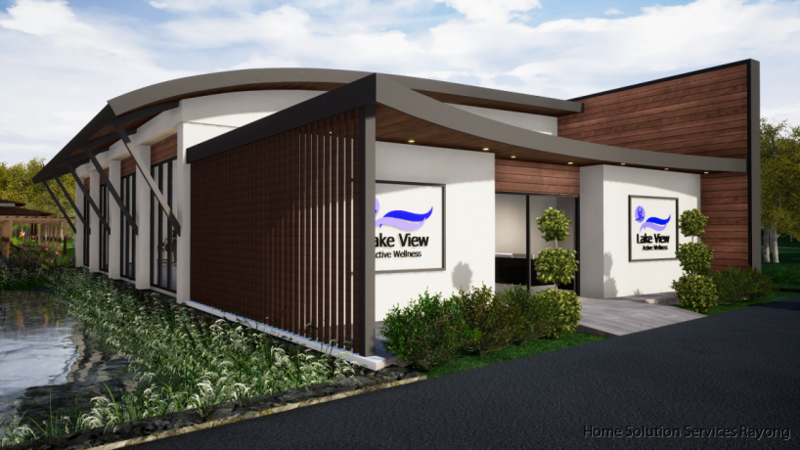 LakeView consists of 6 contemporary villas with 2 different house sizes. There is alos 5 semidetached houses. 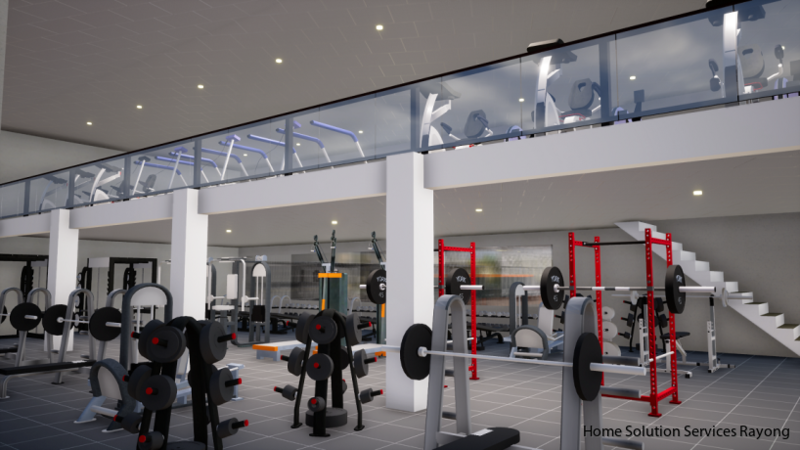 Opposite the villas there will be a Wellness Centre with gym and a variety of exercise possibilities as well as outdoor training. Attraktiv parhus i Thailand Dream village. Mycket bra läge med kort avstånd till swimmingpoolen. Huset består av ett kombinerat vardagsrum och ett modernt västerländskt kök. Här finns också matbordet med plats för 4 personer. De 2 sovrummen är möblerade med dubbelsängar. Trevlig uteplats med plats för umgänge med familj och vänner. Fiber internet är indraget i huset. Thailand Dream Village består av fyra villages med hus. 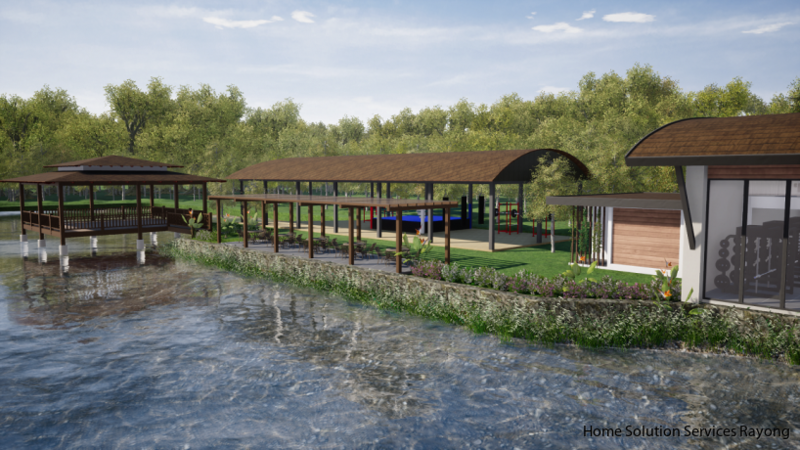 Huset S027 ligger i den senaste byn (Thailand Dream Village 4). Här finns 24/7 säkerhet. En härligt swimmingpool att njuta. Området är beläget ca 900 meter från den vackra kustvägen som följer Suan Son stranden. In till Ban Phe är endast ca 4 km. Ägandeform: Lease hold av land/ägandeskap av hus. Antal rum: Vardagsrum, kök, 2 sovrum och 1 badrum. Pris: 735 000 SEK. (Betalas i Sverige i SEK). ATTRAKTIV ENPLANS VILLA MED 3 SOVRUM! 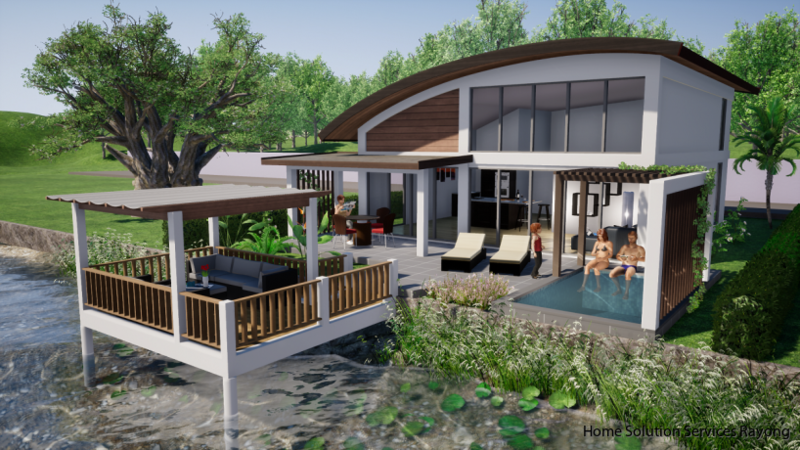 Mycket attraktiv enplans villa i Thailand Dream village. Mycket bra läge med kort avstånd till swimmingpoolen. Huset består av ett rymligt vardagsrum och ett modernt västerländskt kök. Här finns också matbordet med plats för 6 personer. De 3 sovrummen är möblerade med dubbelsängar. Master bedroom har ett ensuite badrum, medan de 2 andra sovrummen ligger i anslutning till badrum 2. Trevlig uteplats med plats för umgänge med familj och vänner. Fiber internet är indraget i huset. Antal rum: Vardagsrum, kök, 3 sovrum och 2 badrum. Pris: 1 100 000 SEK (Betalas i Sverige i SEK). Amazing 2 bedroom pool villa! Welcome to this very attractive 2 bedroom pool villa located close to both Mae Ramphueng beach (800 meters) and up to Narai Road where you can find many local shops and restaurants. The house consists of 2 bedroom, 2 bathroom (one is outside the house), a large living room and a modern kitchen. One of the main features of the house is the garden where the swimming pool is located. The modern kitchen is equipped with stove (gas burner), hood, oven, refrigerator/freezer, lots of space in lower cabinets. The house is located in the located road parallel to Mae Ramphueng beach road. Number of rooms: 2 bedrooms, 2 bathrooms and 1 living room, kitchen and terrace area overlooking the swimming pool. Welcome to Pinery Park Beach! 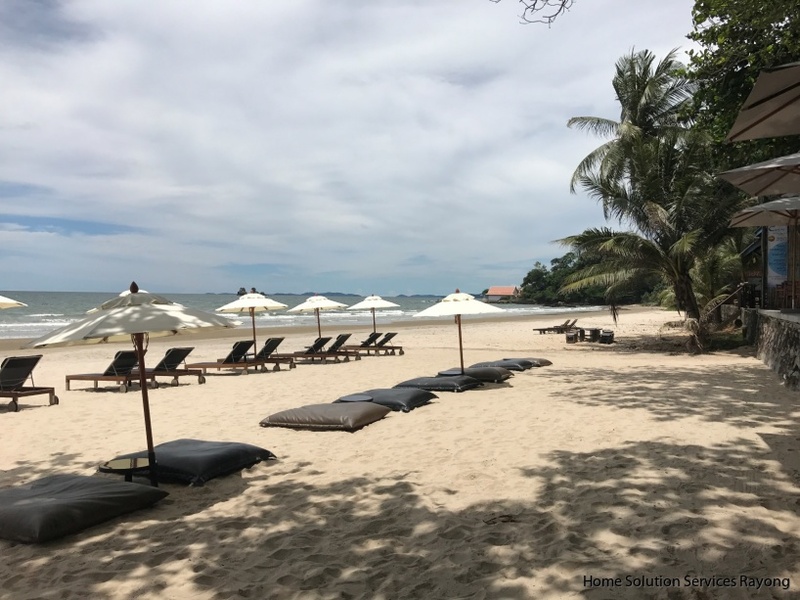 We can now offer this furnished semi-detached house situated in the popular gated community Pinery Park beach (located 4km from the port town of Ban Phe where the boats to Koh Samet goes). The house consists of 2 bedrooms, a spacious living room/diningroom, a kitchen and 3 bathrooms. There is plenty of space to enjoy warms evening on the outdoor spaces. The house is located less than 350 meters from Suan Son Beach. Pinery Park beach offers 24 hour security; a large swimming pool. 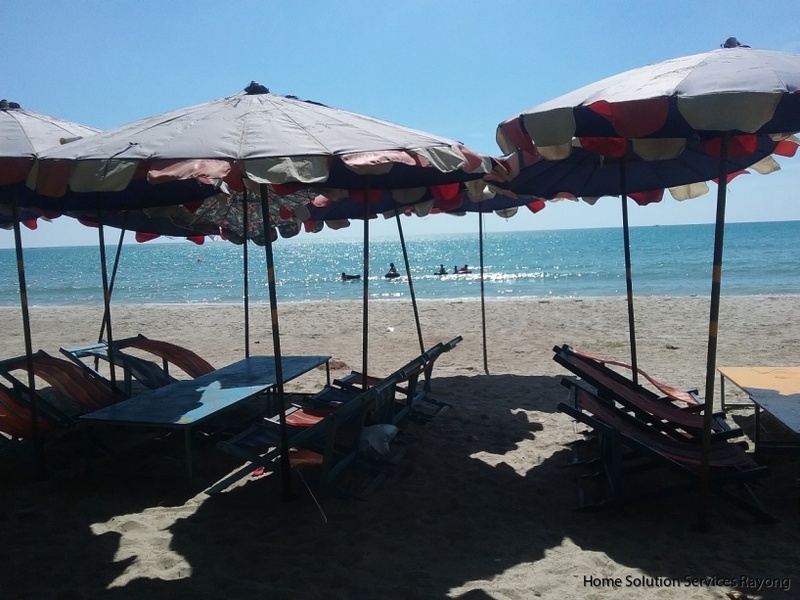 On the beach road songtaew taxis that can take you to Ban Phe and Rayong city, and the other way to Mae Phim beach. 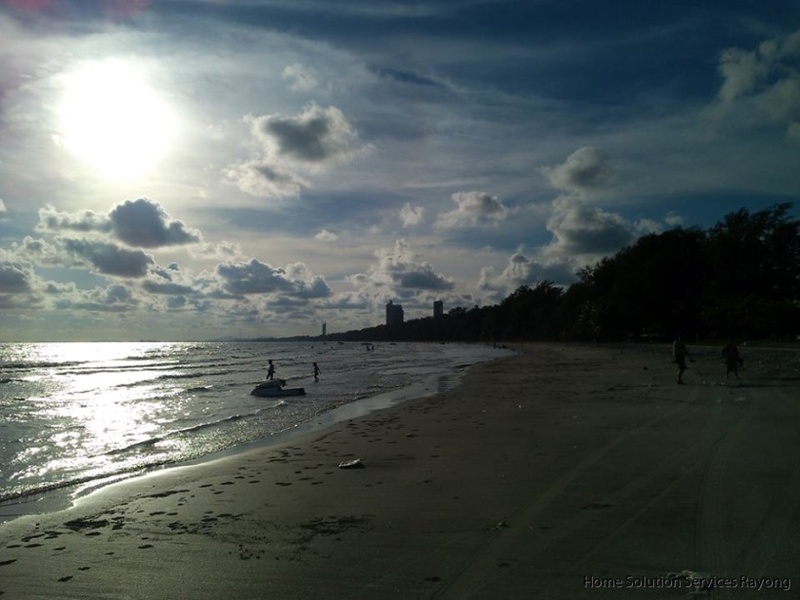 There are many restaurants along Suan Son beach. Ownership: Leasehold for foreigners. Thai owership possible. Number of rooms: Livingroom, kitchen, 2 bedrooms and 3 bathrooms. 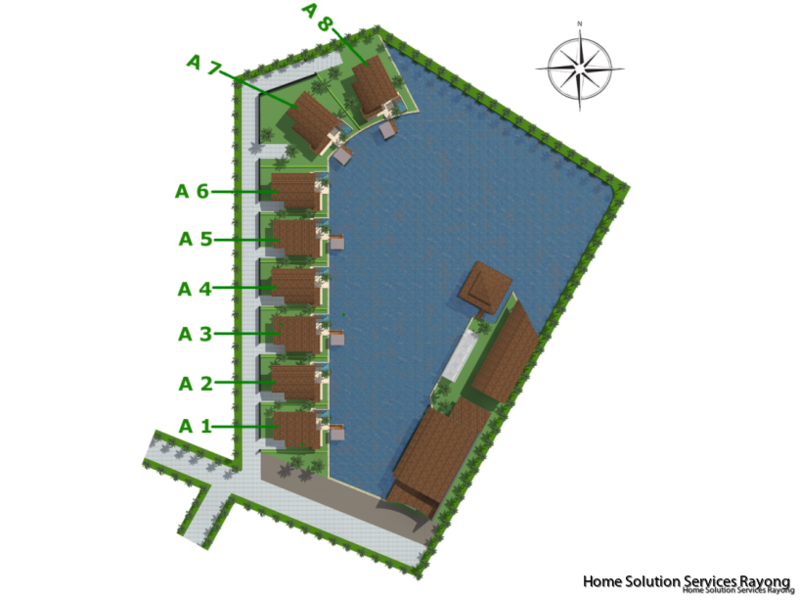 THE BEGIN PROJECT is located 1.8 kms from Mae Ramphueng beach. The project consist of 6 houses (4 is already sold). The houses has a large combined living room / kitchen. There are 2 bedrooms and 2 bathrooms. Free transfer at land office. For Thai buyers, we offer help with bank contacts for possible house loans in Thai banks. Property type: Freehold for Thai owners / Lease hold for foreigners. VERY ATTRACTIVE 3 BEDROOM POOL VILLA! Welcome to a very attractive 3 bedroom pool villa located in a private location but close to both Mae Ramphueng beach (1.4 km) and up to Narai Road where you can find many local shops and restaurants. The house consists of 3 bedroom, 2 bathroom (including a walk in closet), a large living room and a modern kitchen. One of the main features of the house is the large beatiful garden where the swimming pool (10X4 meters) is located. The modern kitchen is equipped with. Stove (gas burner), hood, oven, refrigerator/freezer, lots of space in upper and lower cabinets. There is also a washing installed in the kitchen. The house is located in small road off one of the main roads leading down to Mae Rampheung beach. Number of rooms: 3 bedrooms, 2 bathrooms and 1 living room, kitchen space and large terrace area overlooking the swimming pool (10X4 meter). 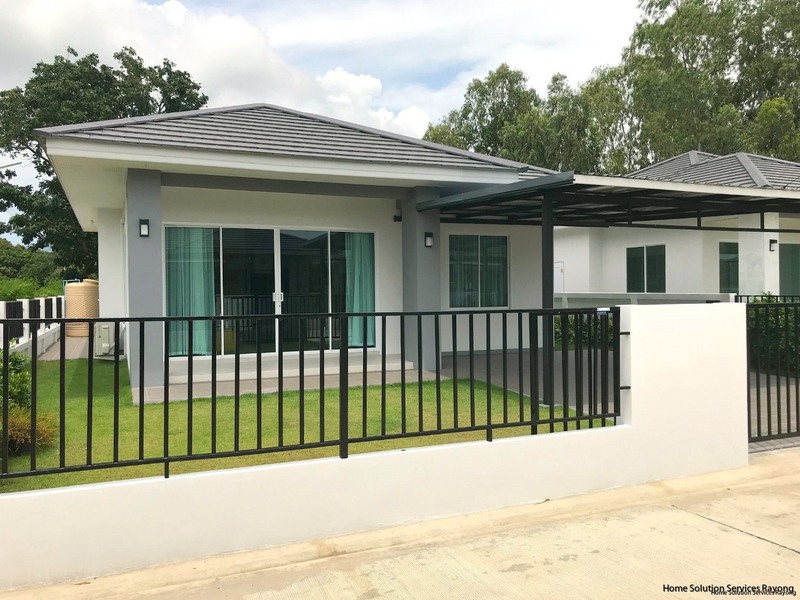 This very attractive 3 bedroom villa is located next to Palm Leaf Rayong and close to Silver beach/Coca Cola beach. 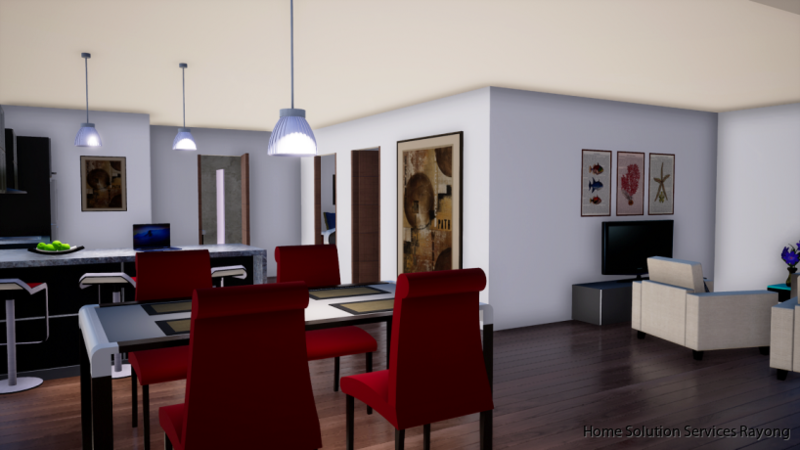 The first floor of the house consists of the living room, kitchen (not included), 1 bedroom and 1 bathroom. The second floor of the house consists of 2 bedrooms, 1 bathroom and the roof terrace. The stairs up to the upper level are on the outside, for two reasons, and partly to save the interior space, the second reason is that you have the opportunity to rent out either the whole house to a larger family or rent to two families where one family lives on the ground floor and the 2nd family lives on the upper floor. House size: The house area is 135 square, including the terrace area. Ownership: Thai ownership or lease hold for foreigners. The house completed and is ready for occupancy. price). The house is sold completed and ready for occupancy. (AC, Kitchen and pool are not included in the price). 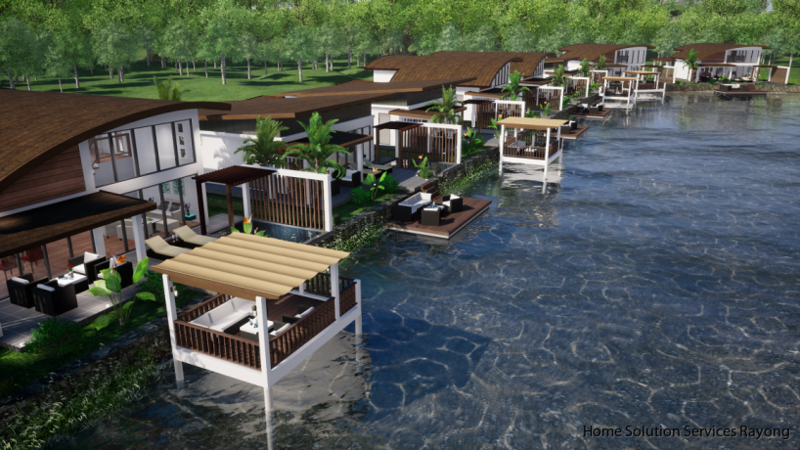 THE BEGIN PROJECT is located 1.8 kms from Mae Ramphueng beach. The project consist of 6 houses (1 is already sold). The houses has a large combined living room / kitchen. There are 2 bedrooms. The master bedroom has an ensuite bathroom and 2nd bathroom is located behind the kitchen. The bathrooms are equipped with a sink, WC, a glasswall for the shower space and also a water heater. Lots of windows bring in a lot of light to the rooms. The ceilings is higher than standard ceilings. In the house front there is a small terrace area that could be extended to make space for outdoor furnitures etc. 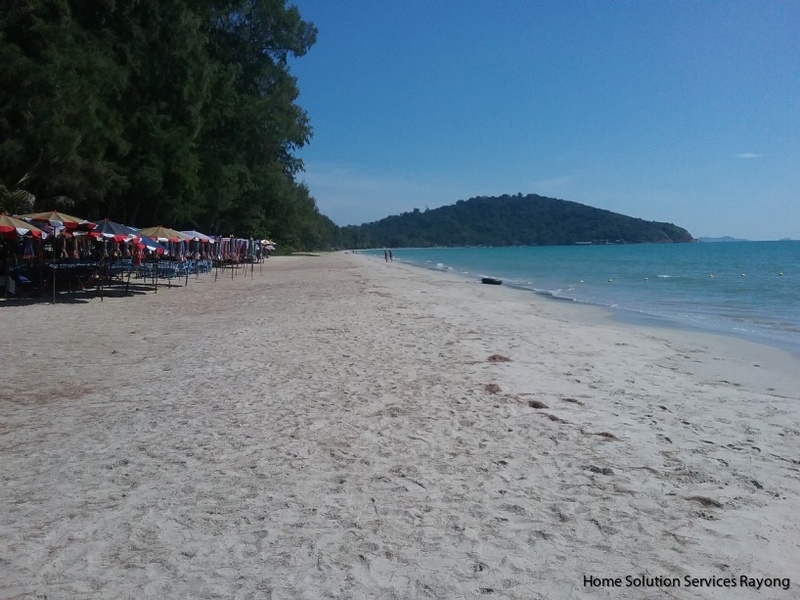 The land plot is located very close to the road from Narai Road down to the beach. On Narai road you will find many small local shops and restaurants, there is also a Tesco Lotus express opposite Wat Narai. 2 times a week there is a market at Wat (temple). Ban Phe is 2.5 kms away. The house is sold including the furnitures shown in the pictures! 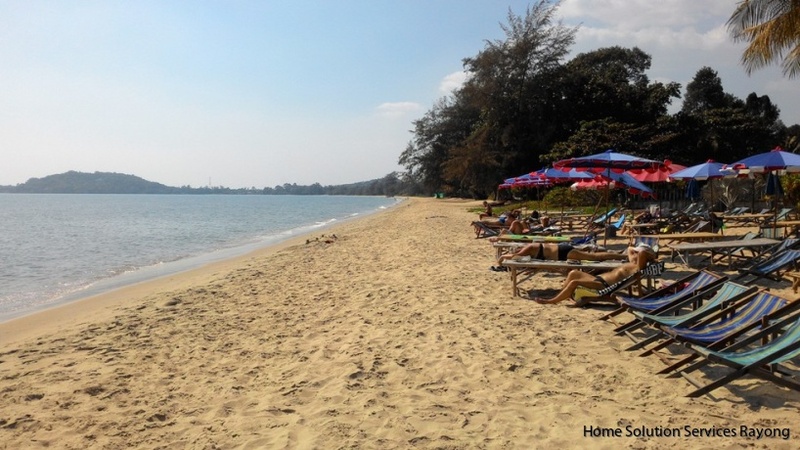 We can now offer this semi-detached house situated in the popular Pinery Park beach (located 4km from the port town of Ban Phe where the boats to Koh Samet goes). 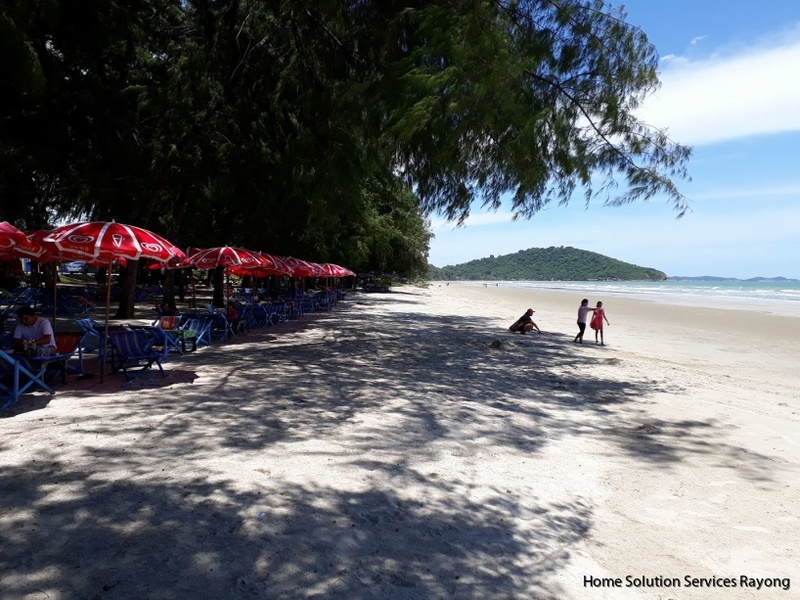 The house which consists of 3 bedrooms, a living room, space to build a kitchenand 2 bathrooms is located less than 350 meters from Suan Son Beach. On the backside of the house is a veranda . In front of the house you will find a carport. Some small renovation needs! Pinery Park beach offers 24 hour security; a large swimming pool (about 100 meters from the house). 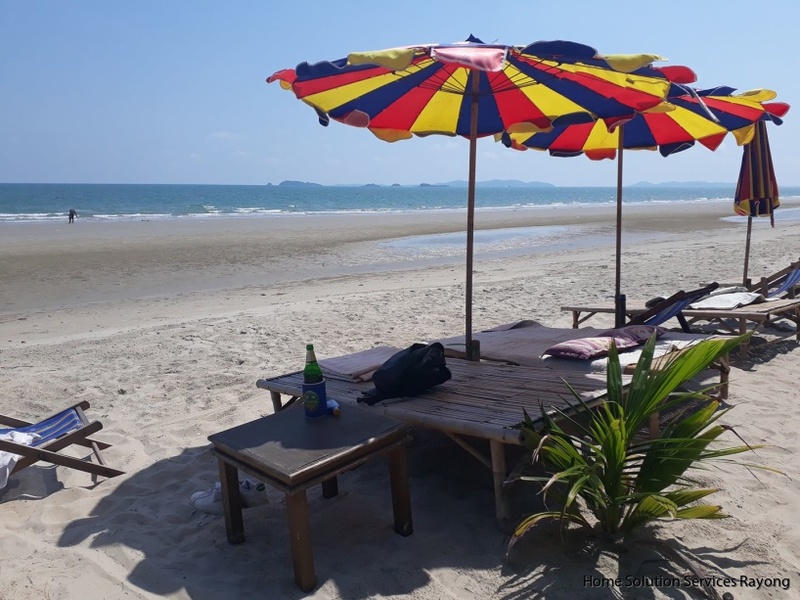 On the beach road songtaew taxis that can take you to Ban Phe and Rayong city for shopping or to go to restaurants, and the other way to Mae Phim beach. There are many restaurants along Suan Son beach. Ownership: Thai ownership, lease hold for foreigners possible. Living area: 65 m² + terrace backside of the house. 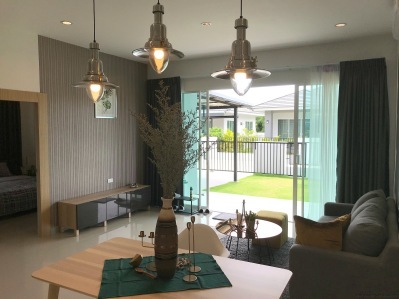 Attractive 3 bedroom villa in a small project close to Chakpong beach. The house consists of 3 bedrooms and 2 bathroom2. Large terrace and also a large roof terrace. The house is sold fully furnished with a westerna kitchen inlcuded. Very good rental possibillities! Enjoy the projects swimming pool! Living area: 185 m² (sellers information. Including 2 terrace areas. ATTRACTIVE 3 BEDROOM VILLA WITH PRIVATE LOCATION, CLOSE TO CHAKPONG BEACH! Attractive 3 bedroom villa in a small project close to Chakpong beach. The house consists of 3 bedrooms and 2 bathroom2. Large terrace and also a large roof terrace. The house is sold fully furnished with a westerna kitchen inlcuded. The bathroom equipment includes a washing machine. Very good rental possibillities! Enjoy the projects swimming pool! Living area: 150 m² (sellers information. Including 2 terrace areas. ATTRACTIVE 3 BEDROOM HOUSE IN ORIENTAL BEACH VILLAGE! Attractive 2 story house in Oriental Beach Village (House B12) on Chakpong beach. On the ground floor you have the large living room and this is also where the the kitchen is located. The house has 3 bedrooms, Master bedroom has an ensuite bathroom and bedroom 2 and bedroom 3 is located next to bathroom 2. Oriental beach Village offers an attractive pool area with a restaurant. 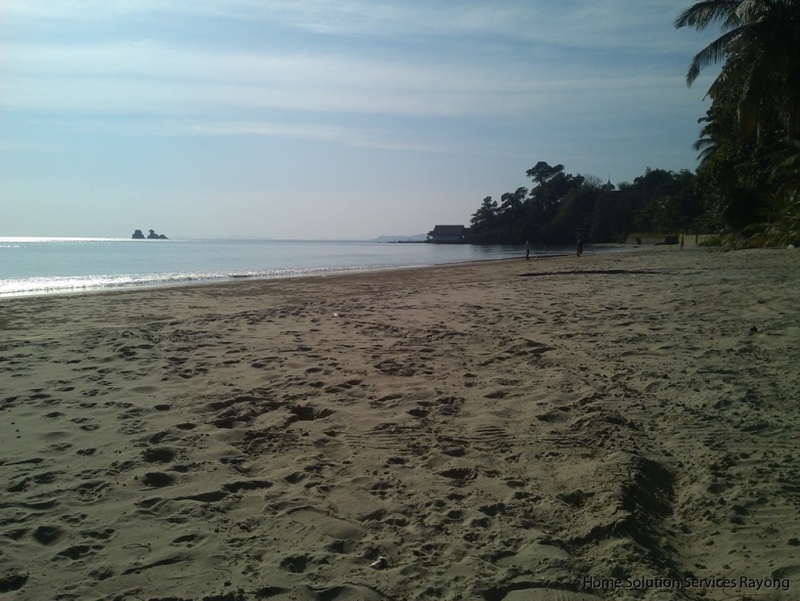 The lovely Chakpong beach is just 75 meters away. SERVICE AND FACILITIES AT ORIENTAL BEACH VILLAGE. Ownership: Lease hold for foreigner. Thai Freehold ownership possible. Ask us for details! Number of rooms: 3 bedrooms, 2 bathrooms and large 1 livingroom/kitchen space and 1 lounge area on the 2nd floor. Update with new pictures coming! DREAMING OF OPENING A SMALL GUEST HOUSE BY THE BEACH IN THAILAND? We can now offer this 5 bedroom, 3 bathroom townhouse only 180 meters from lovely Mae Ramphueng beach in Rayong. The house consists of 4 stories with the living room and plenty of kitchen space on the ground floor. There is a washing machine included in the equipement. 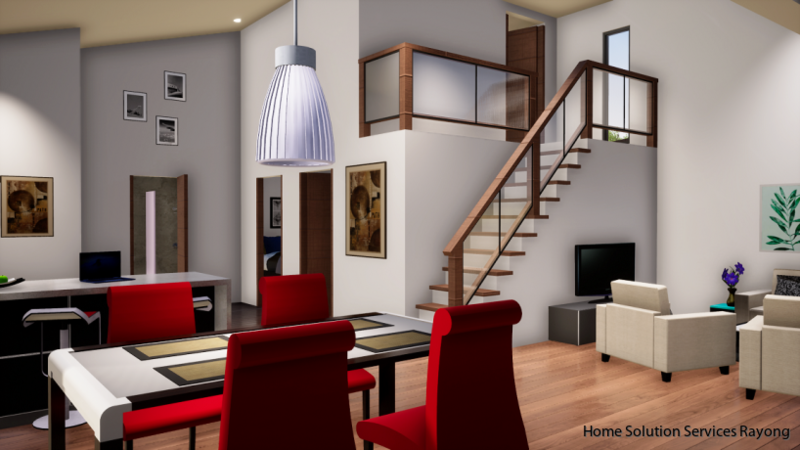 On the 2nd floor your will find a large bedroom (bedroom 1) with a balcony and a smaller bedroom (bedroom 2). Bathroom 2 is located on this floor. 3rd floor also has a a large bedroom (bedroom 3) with a balcony and a smaller bedroom (bedroom 4). Bathroom 3 is located on this floor. On the 4th floor there is large room that can be used as bedroom or other options, the owner has used this a room for yoga classes. There is also a large roof terrace located here, perfect for socializing with family and friends. 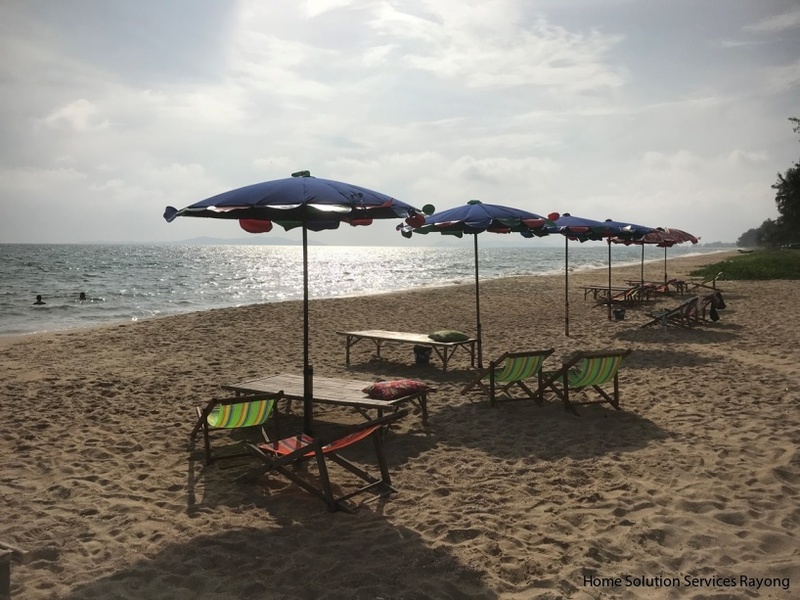 Live your dream in Rayong! Ownership: Freehold för Thai buyers. Leasehold possible for foreigners. Number of rooms: 1 Living room, kitchen space and 5 rooms (4 bedrooms), 3 bathrooms. 2 balconies och 1 roof terrace. Very attractive 2 story pool villa in Oriental Beach Village on Chakpong beach. The house is sold freehold for Thai owners (possible for lease hold for foreigners). On the ground floor you have the large living room and this is also where the the kitchen is located. The living room leads out to the terracea area where you have the swimming pool directly outside. The house has 3 bedrooms, Master bedroom has an ensuite bathroom and bedroom 2 and bedroom 3 is located next to bathroom 2. Alsa from the Master bedroom you can walk out to the large terrace and the pool area. Ownership: Thai Freehold ownership/Lease hold for foreigner possible. Number of rooms: 3 bedrooms, 2 bathrooms and 1 livingroom/kitchen space and 1 lounge area on the 2nd floor. 3 BEDROOMHOUSE WITH OCEAN VIEW FROM THE ROOF TERRACE! 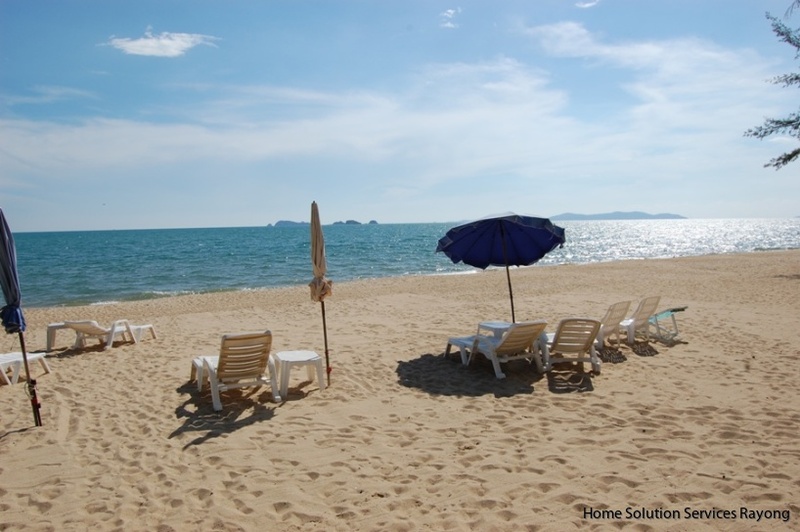 Home Solution services can now offer this attractive house in Mae Phim Ocean Bay. This is a modern 155 m², two-story house with a large private rooftop garden. The house has 3 bedrooms, 3 bathrooms and a large open space living room area with a fully equipped western style kitchen. Ownership: Freehold for Thai owners /Leasehold for foreigners. 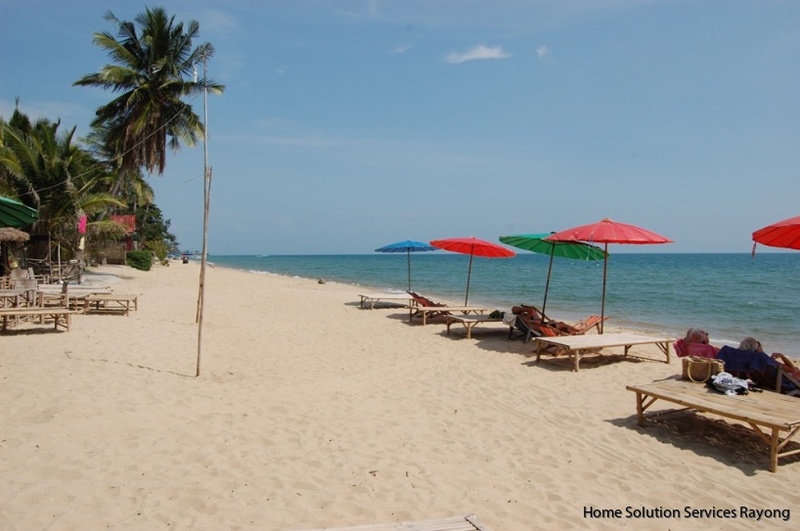 Very Attractive 2 storey beach house in Oriental Beach Village on lovely Chakpong beach. The house consists of three bedrooms, each furnished with double beds, wardrobes and tables. The spacious living room is furnished with a wooden dining table and 8 chairs. There is also a sofa and 2 armchairs and a wooden table. The kitchen is equipped with a stove and hood, fridge / freezer. There is also a few kitchen machines included in the equippment. The house has two bathrooms one of which is adjacent to the master bedroom and the other is located in between bedroom 2 and bedroom 3. One of the bathrooms has a bath tub, the other a shower sopace. On the 2nd floor there is a lounge room furnished with a sofa and a flat screen TV. From the lounge room a door leads out to the large lovely terrace. Perfect for relaxing times with family and friends. Made for barbecue evenings! The terrace offers a lovely view of the ocean and the beach. 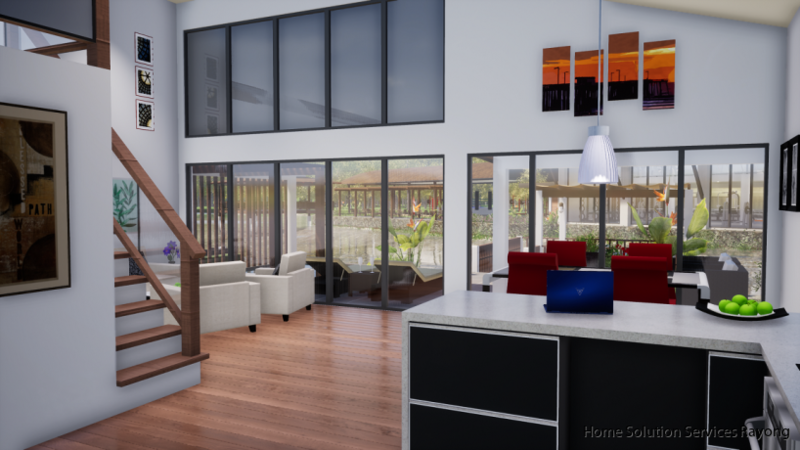 There are 1 AC available in each of the 3 bedrooms, there is also 2 AC in the living room and one in the lounge room on the 2nd floor. The house has it own private swiming pool for relaxing times. The house is sold with the possibility of both lease hold for foreign buyers or freehold for Thai owners. Very good rental possibilities! The house is equipped with Internet access. Oriental Beach Village offers 2 attractive pool areas with restaurant. 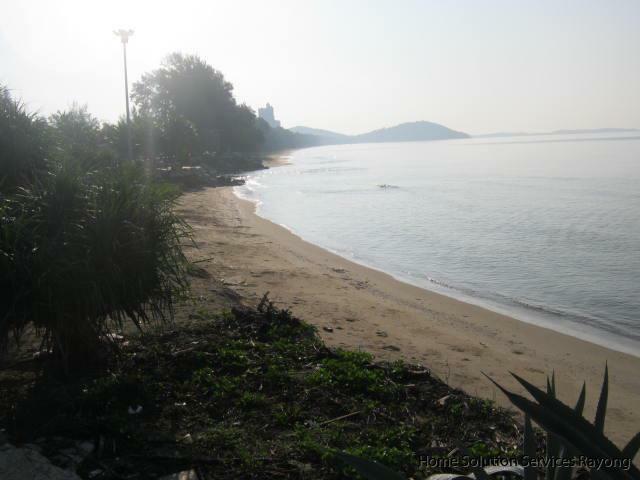 The beautiful beach is about 75 meters away. 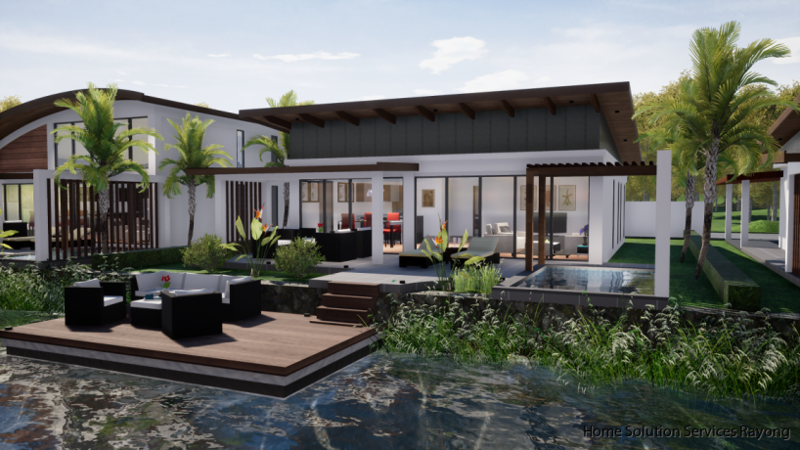 A beautiful and wellbuilt villa designed with the focus on comfort and convenience in every detail. The house consists of a large room with an open kitchen (kitchen not included) combined with dining area and glass area directly onto the terrace, 2 bedrooms and toilet with shower. 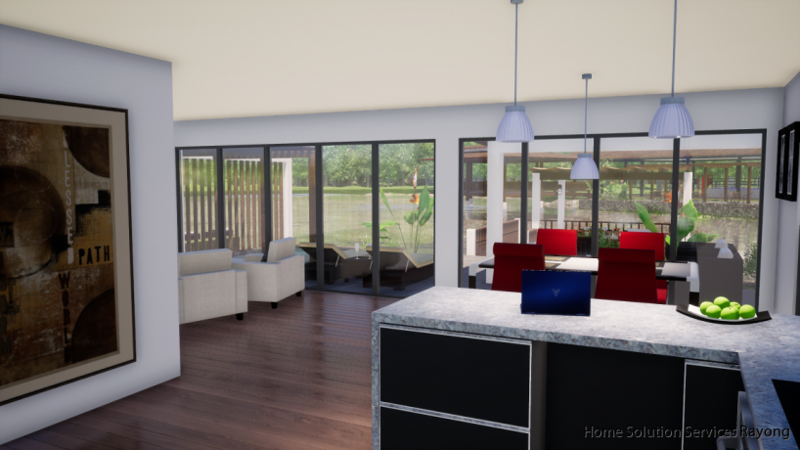 A beautiful villa designed with the focus on space, light, comfort and convenient living. Downstairs consists of a large room with an open kitchen (kitchen not included) combined with dining area. There are 2 bedrooms and a toilet with shower. The glass wall with exit directly onto the terrace, creates an open feel with a stunning view. Upstairs you have the master bedroom with an on suite bathroom. Grand Villa comes with optional outdoor pool and larger outdoor terrace as well as eco-friendly solutions. HOUSE WITH A VIEW FROM THE ROOF TERRACE! 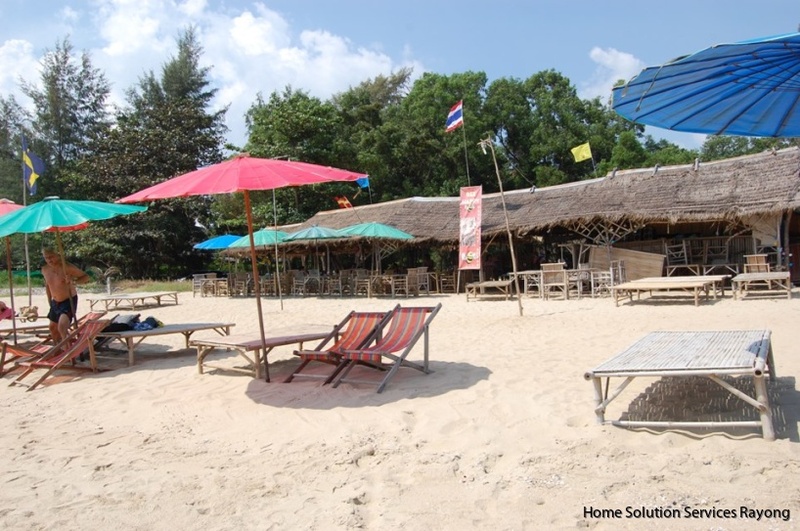 The house is located in Baan Saithong project which is located next to the Chakpong beach. Very spacious house with aan amazing70 m² roof terrace. The house consists of 3/4 bedrooms, 3 bathrooms, a large living room with an attached spacious balcony. The house is located 1 km from a town where there are small shops and restaurants. 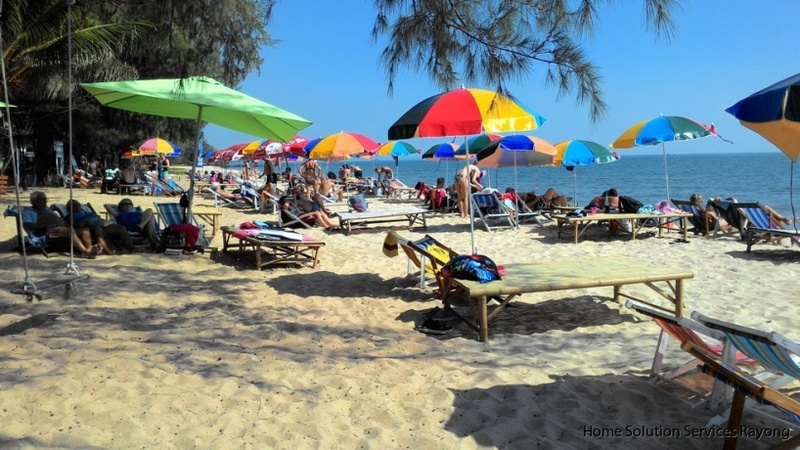 At Chakpong you will find some of Chakpong's nice beach restaurants such as Bee Happy, Kim Beach etc. Number of rooms: Living room, kitchen and 3 bedrooms, 3 bathrooms. 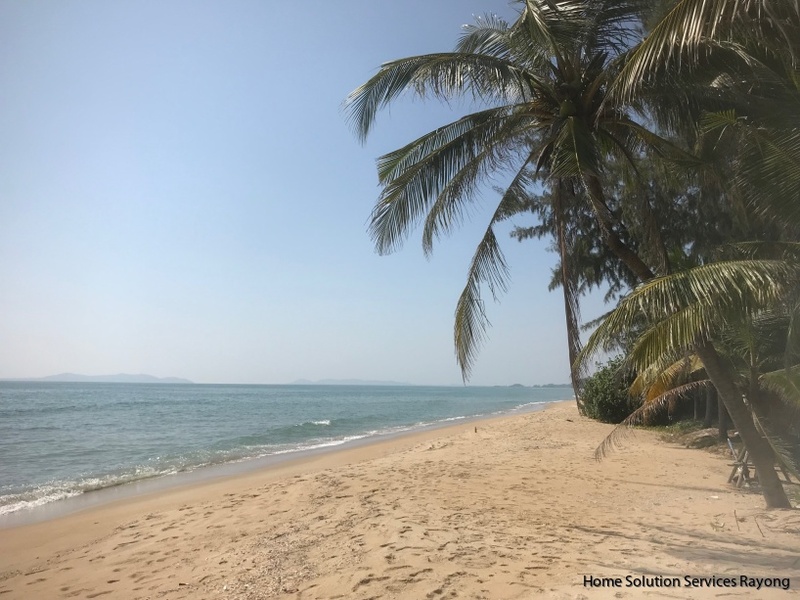 Home Solution services can now offer this attractive house in Mae Phim Ocean Bay. This is a modern 155 m², two-story house with a large private rooftop terrace with partly sea view. The house has 3 bedrooms, 3 bathrooms and a large open space living room area with a fully equipped western style kitchen. 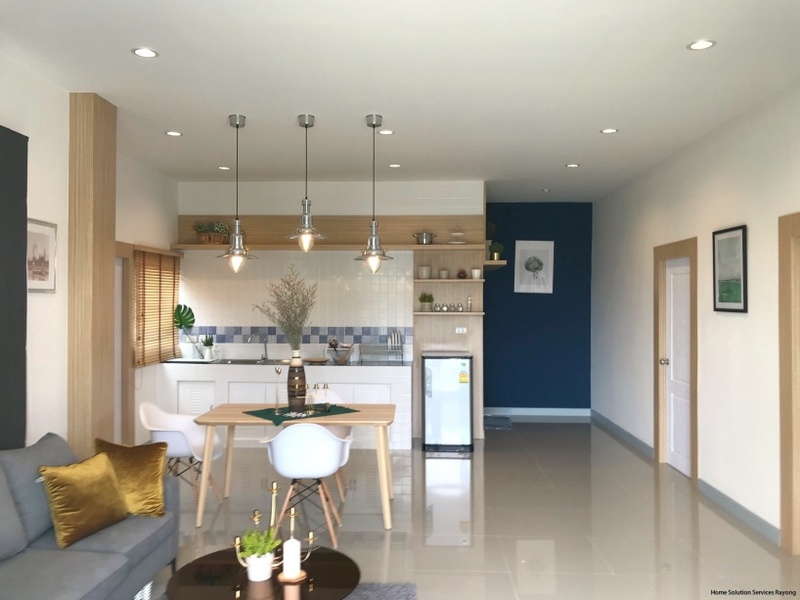 Located in the pleasant residential project Eka Nek, close to Mae Ramphueng beach you will find this 2-storey house consisting of two bedrooms, living room, kitchen and two bathrooms. 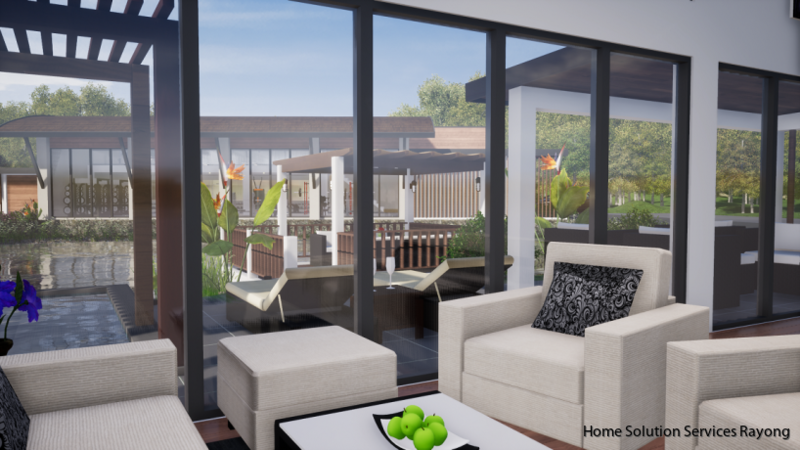 Large balcony and terrace at the back with plenty of room to spend time with family and friends. 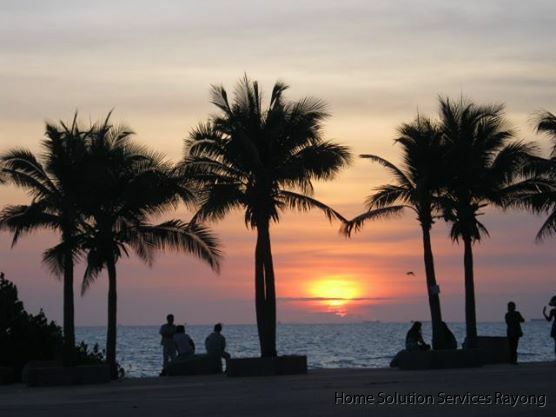 If you want more information on condos in Mae Phim Ocean bay contact us here.